Francisco Cervelli and the Pittsburgh Pirates conclude their series against Kevin Pillar and the San Francisco Giants at PNC Park this afternoon. Coverage starts at 1:10 p.m., right here on FOX Sports Williamsport, a proud member of the Pirates Radio Network. The series shifts to D.C. as the Carolina Hurricanes battle the Washington Capitals in Game Five of their First Round series. Coverage starts at 8:00 p.m., right here on FOX Sports Williamsport. The Philadelphia 76ers look to leave the Barclays Center with a win over the Brooklyn Nets in Game Four of their series. Coverage starts at 3:00 p.m. right here on FOX Sports Williamsport, a proud member of the Sixers Radio Network. Due to rain and wet field conditions, today’s NEAC Softball doubleheader between the Penn College Lady Wildcats and the Lancaster Bible College Lady Chargers has been postponed. The make-up date will be Tuesday, April 23rd with first pitch times of 5:00 p.m. and 7:00 p.m. 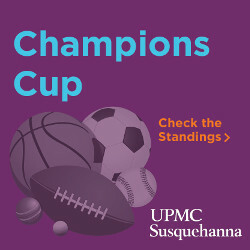 Check PCTWildcats.com for more information. Due to rain and wet field conditions, today’s NEAC Baseball doubleheader between the Penn College Wildcats and the Penn State Abington Nittany Lions has been postponed. 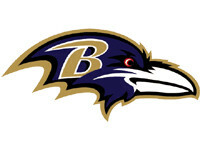 Check PCTWildcats.com for more information. 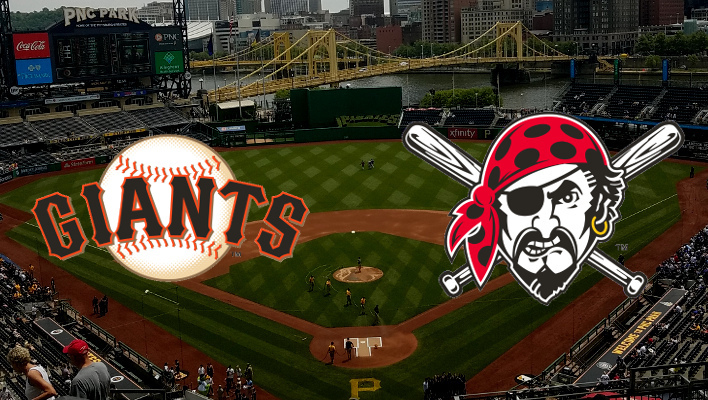 Starling Marte and the Pittsburgh Pirates return to PNC Park to start a series against Madison Bumgarner and the San Francisco Giants. Coverage starts at 6:40 p.m., right here on FOX Sports Williamsport, a proud member of the Pirates Radio Network. 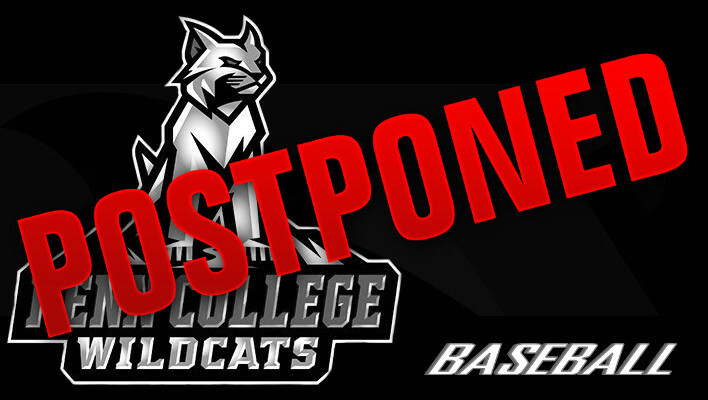 Due to the forecast on Friday, the NEAC Baseball matchup between the Penn College Wildcats and the Penn State Abington Nittany Lions at BB&T Ballpark at Historic Bowman Field has been postponed. A make-up date has not been announced. Check PCTWildcats.com for more information. The Las Vegas Golden Knights took a commanding 3-games-to-1 lead over the San Jose Sharks with a 5-0 win in Game Four. Now the Golden Knights look to finish the series at the SAP Center this evening. Coverage of Game Five starts at 9:45 p.m., right here on FOX Sports Williamsport. After their 145-123 win in Game Two, the Philadelphia 76ers look to take a series lead over the Nets as the series shifts to the Barclays Center in Brooklyn. Coverage starts at 8:00 p.m., right here on FOX Sports Williasmport, a proud member of the Sixers Radio Network. Every Wednesday in April, the Williamsport Crosscutters are revealing a piece of their 2019 promotional calendar in advance of the release of the full slate of events and promotions that is scheduled for May 3rd. 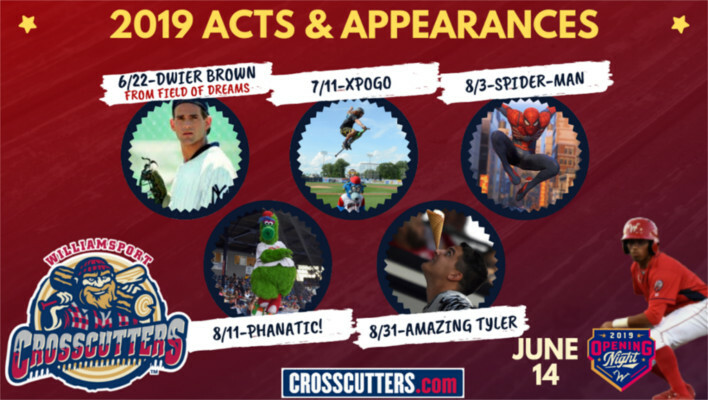 This week, the Cutters announce the Acts and Celebrity Appearances scheduled to visit BB&T Ballpark during the 2019 campaign. 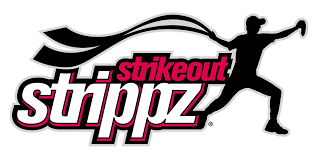 Once again this year, fans can expect to see some favorites from the past as well as some entertainers making their first Williamsport appearance. father, John Kinsella, in the movie. The celebrity appearance slate will grow with the announcement of the Local Legends Bobblehead Series, a total of five bobblehead giveaways planned for the 2019 season that will feature appearances by many of the featured Local Legends. That reveal is scheduled for April 24. 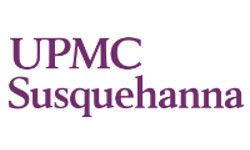 Sr. Loggers Club presented by UPMC- For fans age 60 and over. For just $25, members receive free a stadium reserved ticket and meal voucher for every Sunday game along with a Sr. Loggers t-shirt. Jr. Jacks Kids Club presented by Hoss’s Steak & Sea House- It’s FREE to join for kids age 12 and under. Members receive FREE stadium reserved tickets to any Monday-Thursday games during the 2019 season! May 3- Full 2019 Promotional Schedule.